If you are nodding your head to any of the above, please contact us to talk through your thoughts and questions. We also invite you to schedule a tour of the Middleton community, at your convenience, where you can see daily life unfold and get trusted answers to your questions. You can also visit our Decision Toolkit for information and advice on everything from paying for senior living, living options and assistance and managing change. 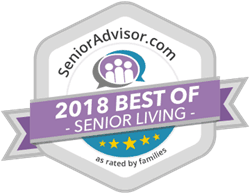 All of things are included at Middleton Senior Living. Use our worksheet to run the numbers and get a better feel for where you stand. Or get in touch with us and we can help you determine the best option for you. How do I pay for Middleton living? Are pets welcome at Middleton Senior Living?